Smashbox released these Be Legendary Long-Wear Lip Lacquers last year in Kuwait and I completely forgot I had this until a recent clean up of my little makeup stash. 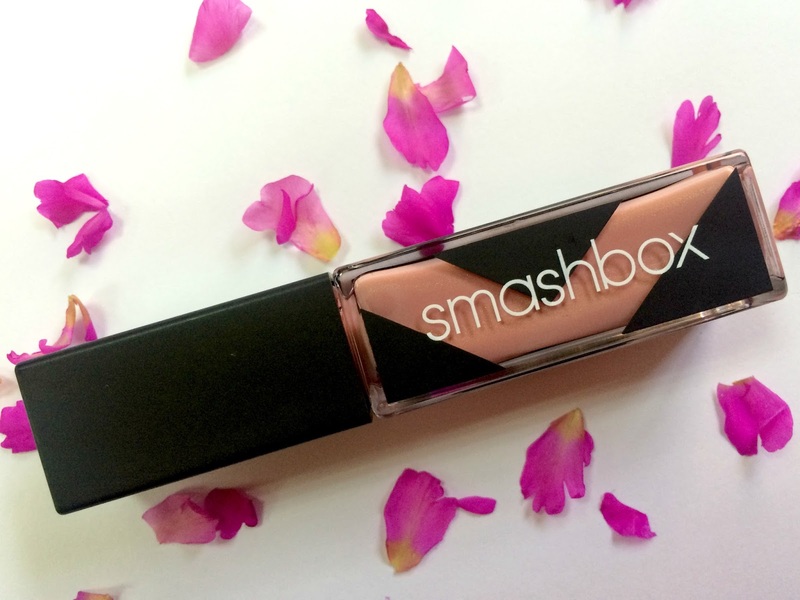 I'd been sent this by Smashbox, but because the colour I'd received, Flushed, was not normally a colour I gravitated towards, I'd only worn it a handful of times. Now that I've stepped up my brow game and have almost mastered a decent eye liner look, I tend to reach for more natural looking lip colours and decided to give this another whirl. 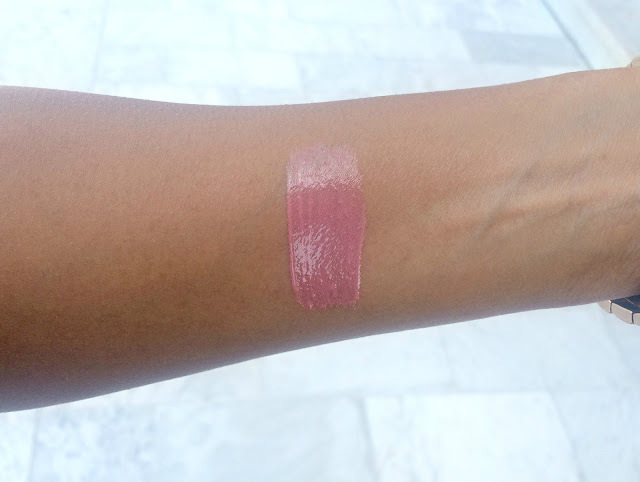 This gloss delivers a high shine without feeling overly sticky on the lips. Despite being labeled as a long-wear gloss, I do find that within an hour, the gloss wears off and you're left with natural looking stained lips that look plump and moisturized. Though you can see shimmering particles in the lacquer, this doesn't translate to your lips, thank goodness! The lip lacquer comes with an easy to use hour glass shaped doe-foot applicator and is subtly scented with a hint of sweetness, almost reminds me of a sugar cookie. On first glance, the lip lacquer looks like a tiny travel size, but it does contain .2 oz or 6 ml which is only slightly less than my Bourjois Rouge Edition Velvet Lipsticks [review here], so kudos to reducing all that unnecessary packaging bulk. The shade I have, Flushed, looks almost peachy in the bottle, but on me for some reason, the pink undertones really come through and shine. I still find the pink to be a bit too pale for me so I like to pat on a little lipstick over the top, but nevertheless, I'm glad I decided to give it another shot. 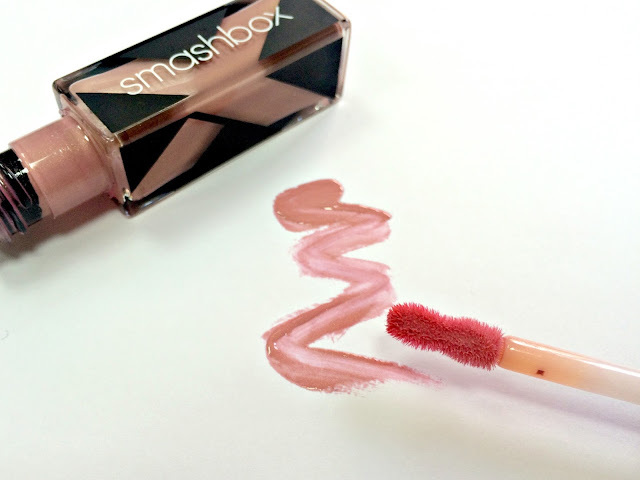 If you're looking for a comfortable liquid lipstick come gloss that won't leave your lips feeling like the Sahara desert, the Lip Lacquers from Smashbox might just be it. It really is. 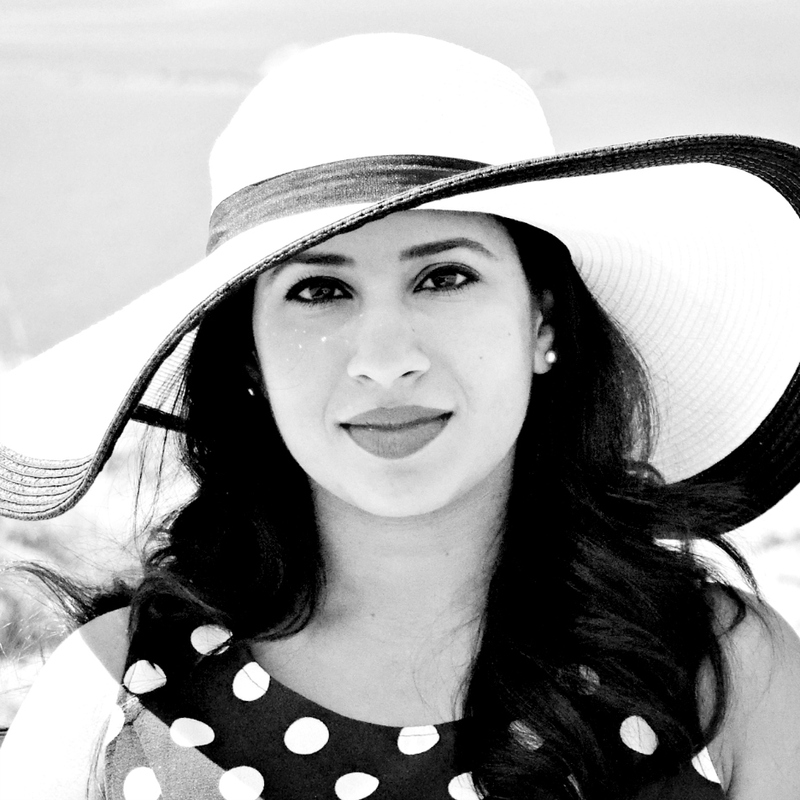 Works well on its own as well as layered on top of lipsticks. Thanks for stopping by. Same here. I usually tend to shy away from glosses. This doesn't dry down to a complete matte, but you lose a lot of that glossy look and it turns into something that looks more natural, which is actually quite ideal. Doesn't try out your lips either and there's great colour pay off, especially the darker shades. I still need to try one of these! I'm usually not the biggest fan of Smashbox, but these lippies sound really nice! I don't have much experience with the brand and this is my first time trying out their gloss, but overall quite impressed with the formula. I wouldn't mind trying out the other colours in the range. I really like that shade and might have to check this out! Yes, please do. I'm wearing it almost every day now. Let me know how you get along with it. Great shades! I don't use gloss because it doesn't dry quick enough for my day today use but I will try this one. Thanks! I wasn't much of a gloss wearer either, but I'm been reaching for this every day this past week. Let me know how you get along with it.